Travelling to new countries can be as intimidating as it is exciting. From deciding what to pack to the jet lag and language barriers when you land, there’s plenty to think about without also feeling overwhelmed by the prospect of dealing with being vegan in unfamiliar territory. At first thought, travelling as a vegan can seem daunting perhaps even impossible, but with a little extra planning and forethought, the minor inconveniences you might face are easily overcome or bypassed completely. I’ve travelled all over the world as a vegan and this is what I’ve learned about preparing yourself to have the best possible experience. Before booking flights or accommodation, research your destination to get an idea of how easy or difficult it may be to eat plant-based there. Look for guides written by vegan travellers (blog posts are great for this!) which will give you first hand experiences of the country you’re visiting. I regularly search the ‘vegan guide to’ my destination to get a rough idea of what to expect before I visit. It always gives me an insight into the type of food locals eat, how vegan-friendly it is, and whether I need to pack anything extra. It’s useful to compile a list or create a Google Map of plant-based or vegan-friendly restaurants, supermarkets, and specific foods to look out for before you travel. Find places close to where you will be staying so you’ll never be caught out struggling to find something to eat. Be sure to make your list accessible offline and include a range of places from restaurants to corner shops as well as vegan-friendly local snacks so all bases are covered. "Living like a local” is frequently touted as the best way to travel and I have to agree. Booking self-catering accommodation is a great way to not only experience the country you’re in but it also makes it a whole lot easier (and cheaper) to eat as vegan in an unfamiliar place. 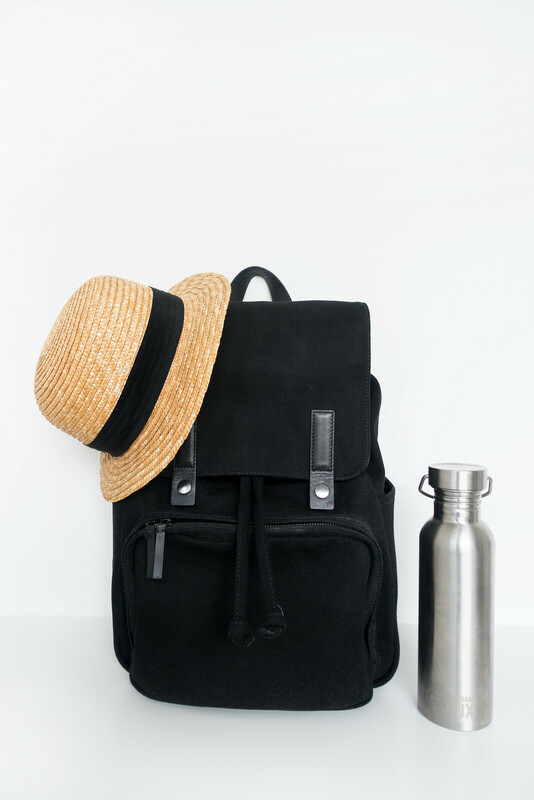 Almost everywhere you’ll travel there will be basic staples, fruit, and vegetables available; you can pick up food supplies from local markets or superstores to cook meals and food for on the go. Booking self-catering accommodation means, if you are visiting a not so vegan-friendly country, you’ll still be able to eat wholesome meals instead of relying on snack foods or taking risks on unfamiliar menu items. I almost exclusively book through AirBnB regardless of whether the local food is vegan-friendly or not, it just makes for a more pleasant travelling experience to have more space to relax in and the option to cook if you want to. Google Translate (on Android / Apple) is a pocket translator you can use to translate words, phrases, and photos, and even menu items, drawings, and signs. It can translate up to 60 languages and works offline. It’s not always perfect but it usually gives you a good enough idea of what something means. This was fantastic during my travels in Japan, I used it a lot in supermarkets to help identify non-vegan ingredients. Happy Cow (on Android / Apple) is a vegan food locator covering 180 countries. You can use it to search local restaurants and cafes with detailed information on the food they offer and reviews from diners. It’s a useful tool for being vegan in an unfamiliar place, however, it doesn’t list all suitable eateries so I’d recommend doing your own research before travelling but it is a useful app to have. This is a useful travel tip whether you’re vegan or not: to avoid food rage, pack snacks! Stock up on your favourite snacks to eat on your journey to your destination and when you arrive, pick up a few snacks from a local market or superstore to take with you on your days out. Fresh fruit, raw veggies, and any pre-prepared foods can be packed in a container and taken with you so you won’t go hungry if it takes longer than expected to find a vegan-friendly place to eat. I keep a stash of dates, cranberries, and almonds in a snack pot in my bag when I fly, and pick up local vegan treats (googled before I travel) to take with me when I’m exploring, it’s helped me to avoid food rage on many occasions! Most travellers will put in a little effort to learn how to say the basics in a new language; learning to say ‘hello/goodbye’ and ‘please/thank you’ is just common courtesy. For vegan travellers, it’s important to learn how to say a few extra words so that we can communicate our needs to the people serving us. Learning how to say ‘I’m vegan’ and ‘no egg/dairy/meat/fish’ in other languages makes it so much easier and far less daunting to order food in an unfamiliar country. Some countries do not have a word for vegan but there's almost always an alternative word or phrase to express the same thing. I keep a list of words and phrases I think might come in handy when speaking to locals, it definitely helps make ordering food less stressful and more enjoyable. If all else fails, Google Translate can help make expressing yourself clearer! 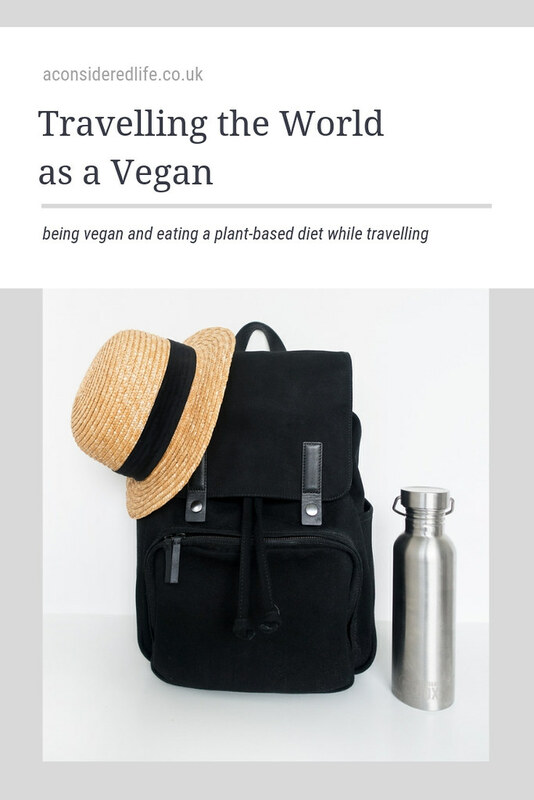 Do you find travelling as a vegan overwhelming? I hope my tips help make travel less stressful!